VAL DI FIEMME – TRENTINO. Nello Ski Center Latemar, la pista Agnello di Pampeago si trasforma in una galleria d’arte sulla neve. L’Agnello, infatti, attraversa il Parco d’arte RespirArt che ospita le installazioni artistiche di artisti di fama internazionale. Lungo la pista principale si incontrano, guardando a destra, tre grandi bozzoli di farfalla, creati con lana di pecora, che l’artista Marco Nones ha dedicato all’aforisma della poetessa milanese Alda Merini “L’arte è un mistero con le ali di farfalla”. Proseguendo, proprio di fronte al rifugio Baita Caserina, sorge un’altra installazione artistica di Nones intitolata “Teatro del Latermar”. 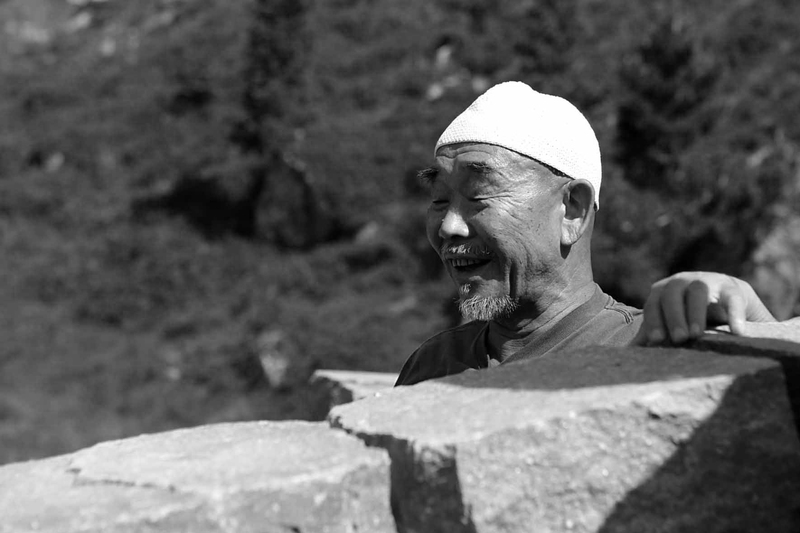 Se si imbocca la Variante Agnello, si possono ammirare l’opera “Natura Viva” dell’artista Mauro Lampo Olivotto, che incornicia le cime del Latemar, e l’opera del grande gotha dell’arte Hidetoshi Nagasawa “Il Giardino di Danae”, un luogo di meditazione realizzato con pietre di porfido trentino. 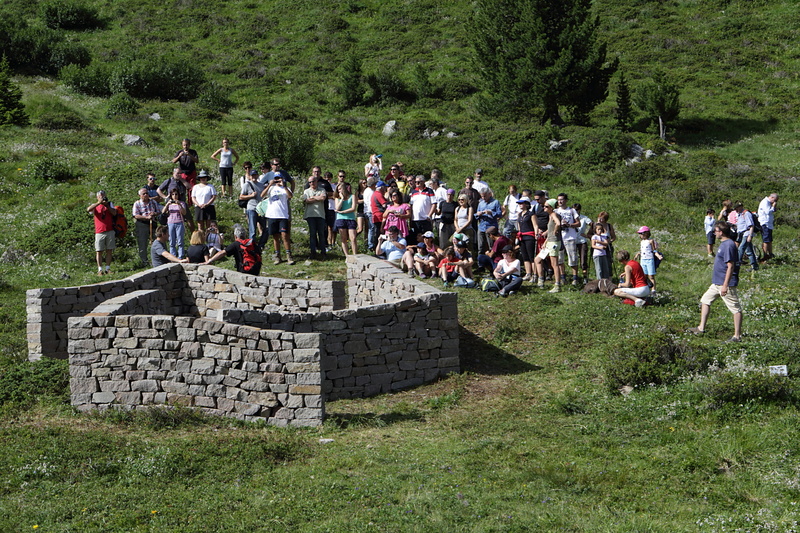 Il parco d’arte RespirArt, sorto a quota 2000 fra le Dolomiti del Trentino, crea ogni anno nuove installazioni artistiche con artisti di fama internazionale. 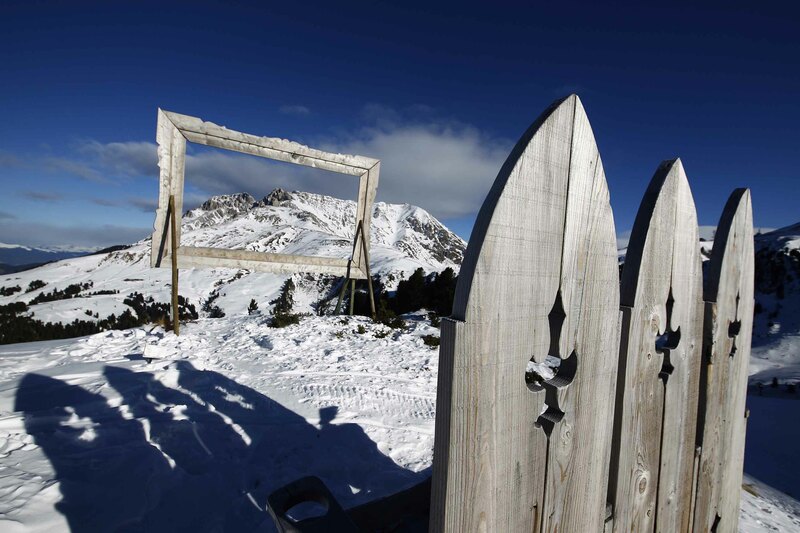 The slope “Agnello” will be transformed into an art gallery on the snow. Four of the ten masterpieces installed in the art park RespirArt Pampeago can be watched on Agnello’s main slope and on its variance. 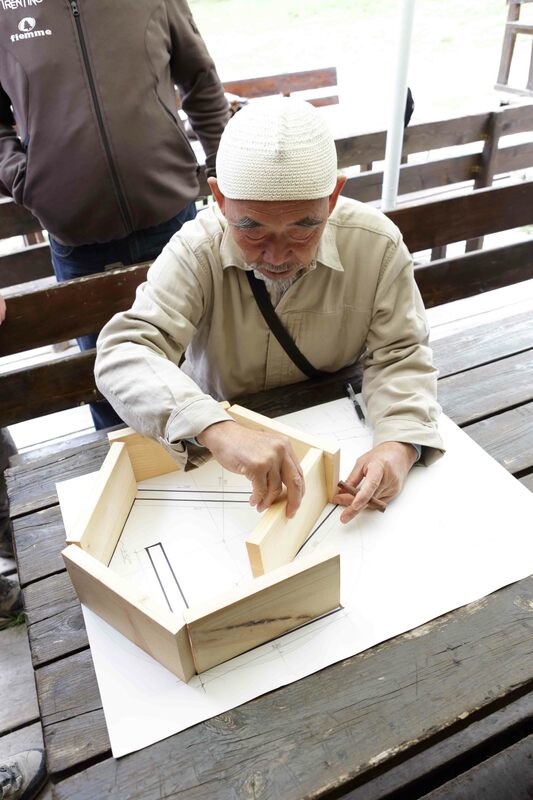 One of these pieces of art was created by one of the worldwide most famous artist: Mr. Hidetoshi Nagasawa. At an altitude of 2000 meters, among the Latemar peaks through the Dolomites, RespirArt is one of the highest art parks in the world. Mysterious contemporary art works – made with branches, stones and wool – surprise trekkers along a 3 kms trail. RespirArt Green & White Gallery is a land art exhibition throughout the whole year. It’s “green” as pastures and forests in Pampeago and it’s “white” as snowfields. 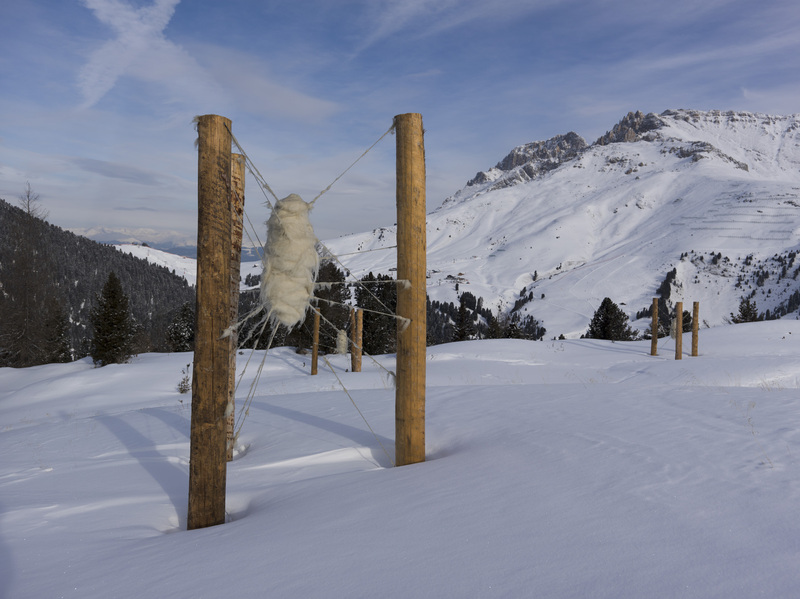 Some artworks, in fact, are also visible in the winter on the Agnello ski slope and from the chairlift. The park hosts considerable art installations as “The Garden of Danae” by Hidetoshi Nagasawa and “The Latemar Theatre” by Marco Nones . 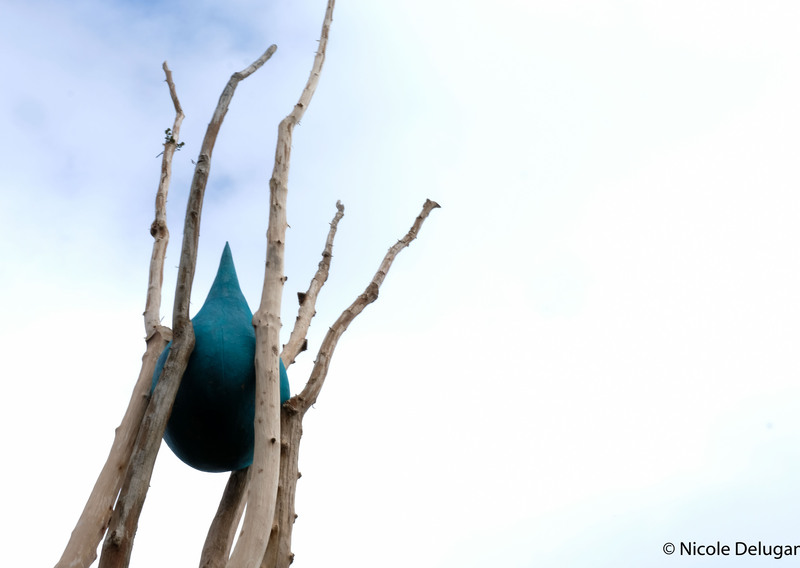 Every summer, new artists use to create works ‘in the nature for the nature’: they’re aware the weather does not spoil the artworks but rather complements them. The movement of the nature – shaping every creative act to bring it back to earth – invites to rely on life and its constant transformation. It’s the largest skiing circuit in the Val di Fiemme-Obereggen area. This skiing zone, set at the foot of the Latemar Dolomite group, criss-crosses the boundary between Trentino and South Tyrol. 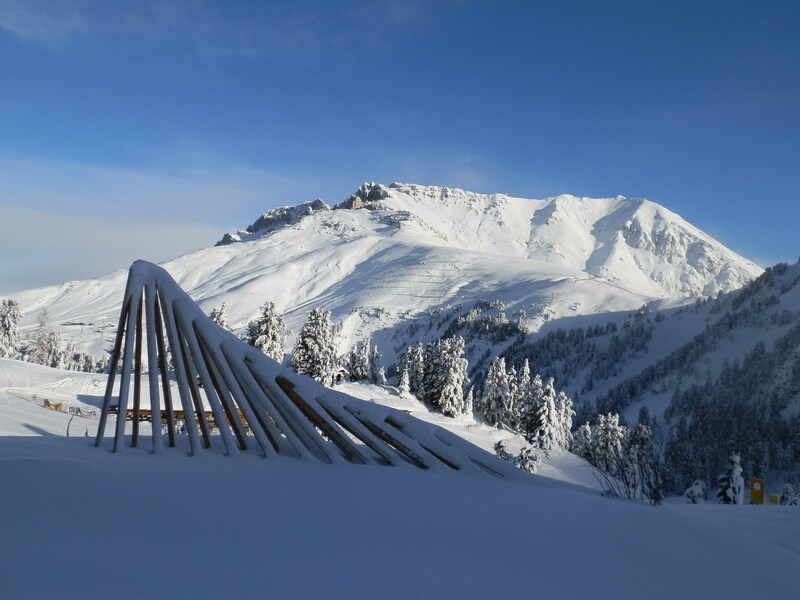 Obereggen, Pampeago and Predazzo are served by 18 ultra-modern ski lifts assuring skiers’ transfer from 1550 to 2500 mt. of altitude. In total: 45 km of fantastic slopes. In winter, the Ski Center Latemar offers a large variety of perfectly prepared ski sloped, the snow is guaranteed, the panorama is extraordinary with its breathtaking landscapes and you can enjoy a very tasty cuisine, as well as several opportunities of spending the afternoon in 10 typical mountain huts with music and entertainment.